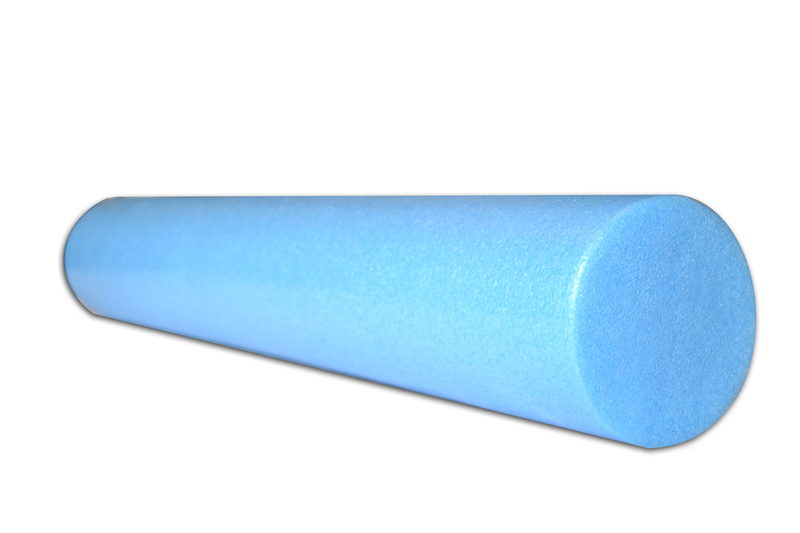 Our long 36" foam roller is great for extra support and for working out two legs at one time. This quality, performance-minded foam roller is made of dense and textured foam, so you won’t roll off! A good quality foam roller is a fundamental Pilates prop in many mat exercises, can add support and a deeper stretch to many yoga poses, and will sooth shin splints and sore muscles through deep tissue release when used as a physical therapy tool. Improve strength, coordination, and balance with the help of this one simple prop. This foam roller is three feet long; if you are looking for something a little smaller, check out our 12" circular foam roller. I am doing some pt for my hips and i have a lot of exercises assigned. I worked on a foam roller while at my pt. I ordered this YA foam roller, which I chose from many. When I unpacked it, I thought it was way to soft, at the hand touch; but when I tried, it revealed to be perfect, hard inside for a good work and somehow soft outside, for the touch! This is a large, sturdy foam roller that is great for the larger muscle of the body and for larger clients. The price is excellent and I would recommend it. I have always purchased my foam rollers from a Pilates' source but was introduced to this roller in the black at a local Yoga studio. I prefer this firm foam roller to any I have previously purchased. It is very firm, but it works magic for working out muscle tightness. I use it personally for myofacial release therapy. This is the roller I now keep in my home. I highly recommend it. Great foam roller for the price. Firm and keeps shape for a long time if you don't stand on it. I ordered several for my students. They are exactly what I have also used in the physical therapy clinic. I purchased the black 36". I bought 20! Very pleased with this roller. Solid foam and doesn't mark. On top of that ... great service when I called to place my order. I have been looking for a foam roller that is non skid and I have finally found it. Yes!